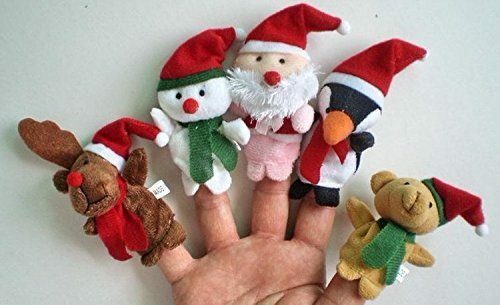 Christmas Finger Puppets 5 Pc Set Only $2.94! Ships FREE! You are here: Home / Great Deals / Amazon Deals / Christmas Finger Puppets 5 Pc Set Only $2.94! Ships FREE! Get Now and stash for the Holidays! Head over to Amazon to get the oh, so cute Christmas Finger Puppets 5 Pc Set for Only $2.94! Ships FREE! Product size:high 2.75″and wide 1.18″. One set includes Santa Claus, Christmas reindeer, Christmas snowman, Christmas bear & Christmas penguin.